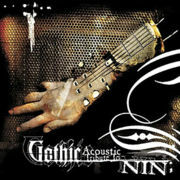 Gothic Acoustic Tribute To NIN is a Nine Inch Nails tribute album of covers. This page was last modified on 16 July 2008, at 05:19. This page has been accessed 9,704 times.